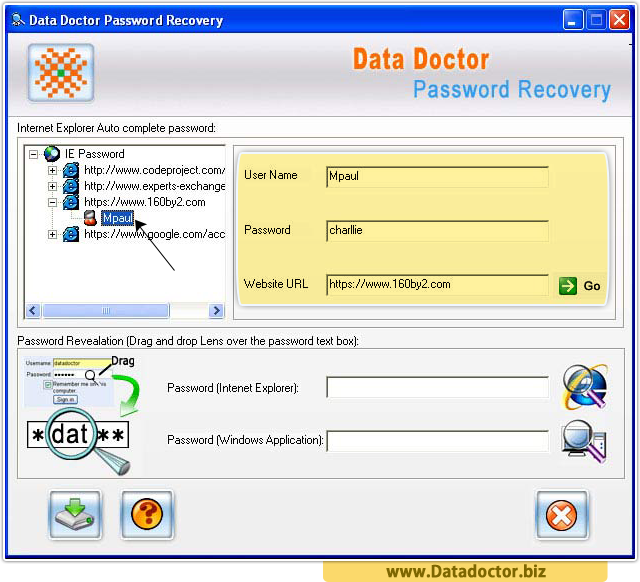 Data Doctor’s Internet Explorer Password Recovery and Windows Applications passwords unmask tool is easy to use software utility capable to recover lost or forgotten internet explorer saved (cached) Passwords (including for E-mail/Newsgroup accounts, Online shopping, Magazine subscription, Web forms and much more). 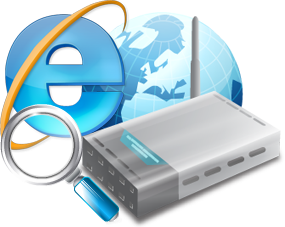 The software provides help to both (Admin and Administrator) and facilitates to save recovered password list to the user specified area for further reference. 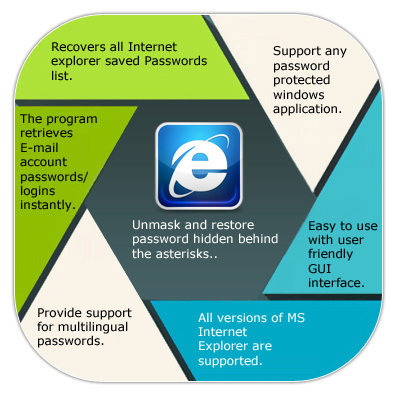 Provide easy way to manage and protect the important password ever entered on your computer PC. The Software is simple easy to use with graphical user interface and recovers (unmask) all asterisks password in seconds time with multilingual password support. The program includes password recovery on Windows 98, ME, NT 2000, XP and 2003 machines. In above screen, drag imaginary lens over the password field to view lost password.